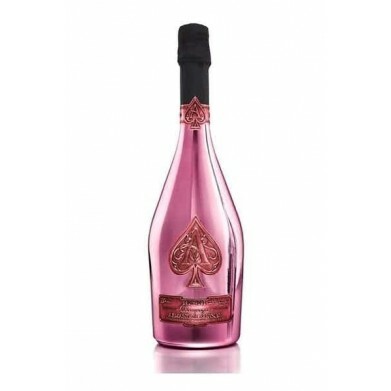 ARMAND DE BRIGNAC ROSE for only $499.99 in online liquor store. "Armand de Brignac Rosé is an elegant and delicious “basket of red fruits” as described by Chef de Cave, Jean-Jacques Cattier. The vibrant rose hue is given from the inclusion of slightly more than 15% of still red wine, harvested from old Pinot Noir vines that produce fruit with great flavor intensity. The current assemblage comprises 50% Pinot Noir, 40% Pinot Meunier and 10% Chardonnay and is a trio of vintages; 2009, 2010 & 2012.